Enjoy the best inspirational, motivational, positive, funny and famous quotes by Alyson Ackman. Use words and picture quotations to push forward and inspire you keep going in life! 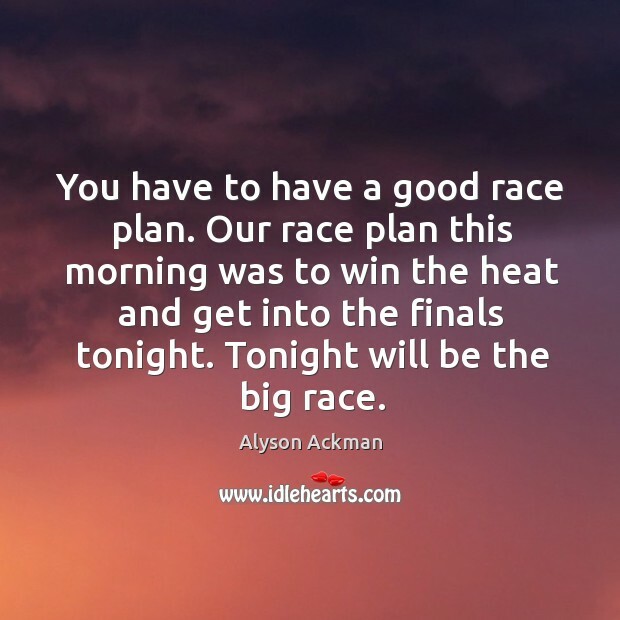 You have to have a good race plan. Our race plan this morning was to win the heat and get into the finals tonight. Tonight will be the big race.